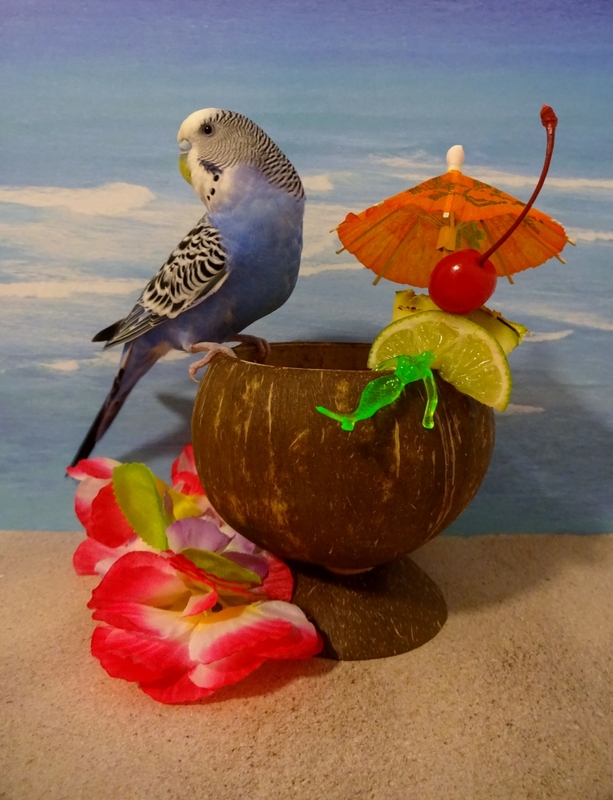 Posted on August 22, 2016 by Michelle M.
This entry was posted in Holiday Fun and tagged budgie, budgie vacation, Cooper, holiday fun, parakeet by Michelle M.. Bookmark the permalink. 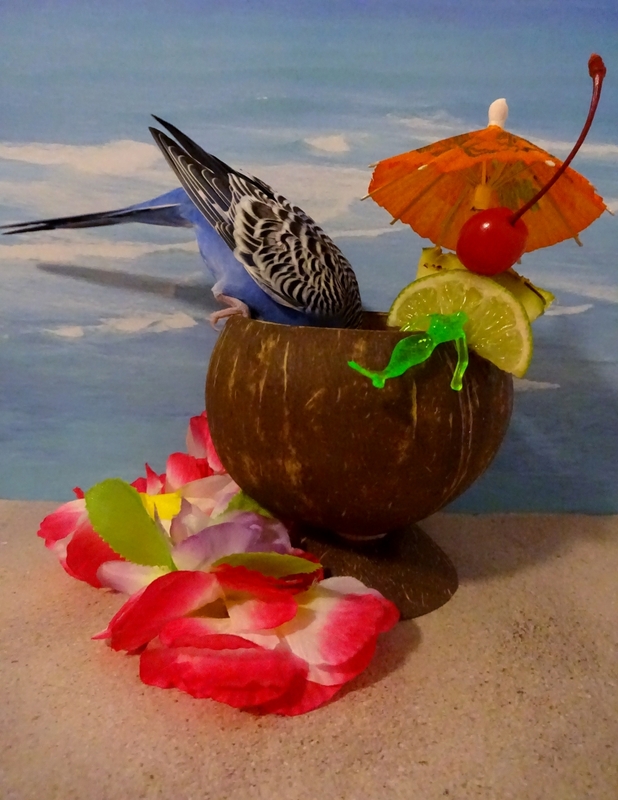 Have a fun vacation Coopie! You deserve it.